Eat your veggies! We all know that is good advice. In fact, this week’s Real Food Experience Challenge is devoted to eating more fruit and veggies. What happens when you or a family member really don’t like to eat vegetables? I have a few of “those people” in my family. My non-veggie eating kids are bad……..really bad. They choke, gag, complain, and walk away from food completely rather than eat a vegetable. It drives me crazy. I’ve done my own research on nutrition and have decided that what is best for my family is that we eat real food. Food that is as close to nature as possible. We are trying to cut out processed foods. I don’t want to feed my family blueberry cereal bars that don’t contain any blueberries. I’ve read just about all of the “get your kids to eat vegetables” advice out there. Most of it is the same ideas over and over. Some of it works and some of it doesn’t help me one bit. My least favorite bit of advice comes in a few different versions. In short, make your child take a small bite. I would love to do that because I know over time that most people will learn to like or at least tolerate vegetables. I tried this tactic with my kids and ended up feeling like a complete failure. Instead of kids who love vegetables, I ended up with gagging kids at my dinner table. This does not make for a pleasant experience! Should you just give up on feeding your non-veggie loving family members good nutritious vegetables? Certainly not! Today, I am sharing some of the tips that work in my family. I encourage you to try some of these tips and stick with what works for your family. Everyone is different………especially when it comes to eating. The important takeaway from this is simple. Don’t give up! Your family’s health is important and it’s up to you to help them get the nutrition they need to grow and fight disease. Don’t start a ruckus! As hard as it may be, don’t make comments on what they are eating. Veggie haters are stubborn. Most will not eat vegetables just because they know it drives you crazy. Keep the dinner table relaxed and enjoyable for all. Be a good example. If you want your family to eat vegetables, you need to eat them too. You don’t have to love them all, just make sure to not make disparaging remarks about certain vegetables. Allow your family to form their own opinion. I know I was quite surprised to find out as an adult that I liked to eat cooked carrots. I grew up thinking I didn’t like them. I’m pretty sure that has something to do with my mom not liking to eat carrots that were cooked. Sorry mom! You are perfect in every other way. Don’t fight the dip! I have been amazed over the years at how much more vegetables my family will eat if they can dip it in ranch dressing or (gasp) ketchup. I don’t love all of the dipping, but at least they are eating the vegetables. That’s progress. You might also try a hummus dip, salsa, or yogurt based dip. Don’t serve ugly vegetables. Color matters. Texture matters. Do your best to serve colorful vegetables that are prepared well. 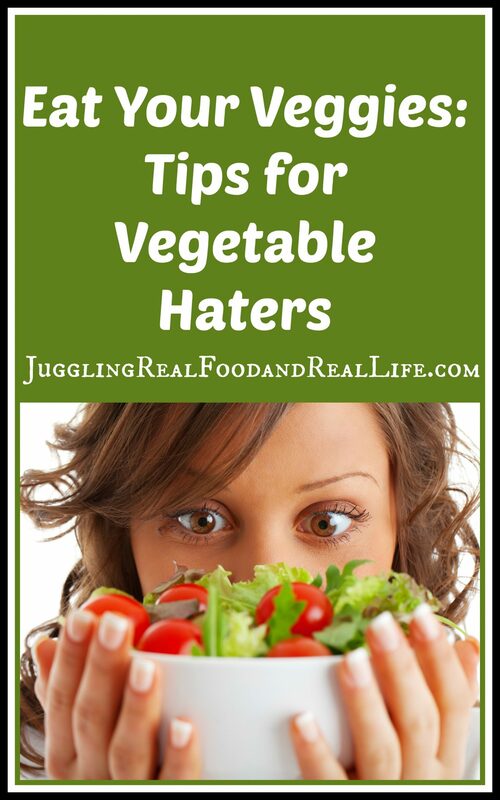 Mushy blobs of nasty looking vegetables are not the way to win over veggie haters. Prepare vegetables in different ways. Find the way that your family likes to eat vegetables. Don’t force roasted cauliflower on your family if they prefer to eat it raw. Try raw, roasted, boiled, and grilled. Fresh, frozen, and canned are all options. Try veggies with butter, with a sauce, with cheese, with a dip, with different spices or plain. Your family may surprise you with what they like. 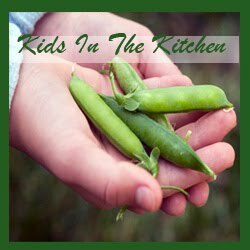 My son won’t eat green beans unless they are French cut green beans. Hide the veggies. I really prefer that my family knows what they are eating, but desperate times call for desperate measures. A delicious smoothie is a great place to hide almost any fruit or vegetable. I blend onions till smooth for some of my recipes. We get the nutrition and flavor, but nobody can pick them out. Shredded carrots ad an amazing sweetness to beef. I like to add shredded carrots to my meatloaf. Spaghetti sauces and soups are some of my other favorite vegetable hiding places. Good luck with this week’s challenge. 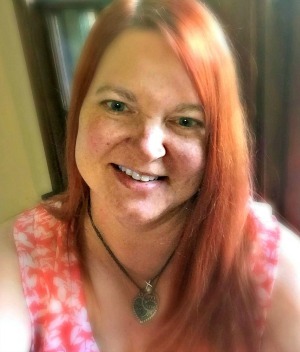 I would love to see your progress. Share food label pictures and questions in the Facebook group and if you are on Twitter or Instagram use #RFEChallenge. Your pictures will certainly help and encourage us all to make healthier changes for our families. Please leave me a comment below if you have any questions or want to share your progress with us. I would also love to hear how you deal with your veggie haters. What are your favorite recipes to hide veggies? I can’t wait to hear from you! Make sure you sign up for our Real Food Experience Challenge newsletter, so you don’t miss anything. Great ideas, Christina. Also, I think that some people (although maybe not little kids) who don’t like veggies are willing to eat roasted veggies. They just seem to taste better and have a better consistency than vegetables cooked some other ways. Roasted vegetables is a great idea. I know plenty of adults who struggle with eating vegetables. You are so right that it is not just limited to children.